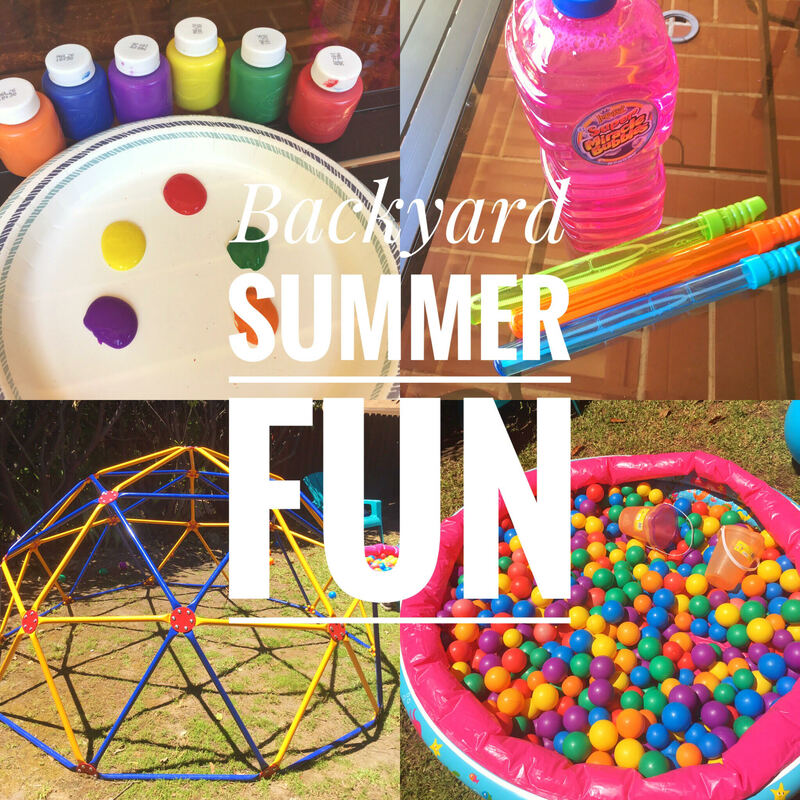 Backyard activities are great in the warmer months, especially when kids are out of school. With 3 kids under 6, my days can be quite crazy. The house is always a mess, someone is always climbing on the furniture and there is so much screaming at times that I can’t even think. Having all 3 kids home all day long for the entire summer has caused me to make some changes to our backyard to give the kids a space to run around, have fun, and burn some of that energy off! Now, there are parks by us, and I do take the kids, but sometimes I need to get a few things done around the house or I’m not up for all the screaming and dragging the kids to car when it’s time to leave the park. So on days I want to be home, playing in the backyard works well for everyone. When it comes to buying toys for kids my favorite places to shop for them are Amazon, Target, Wal-Mart and The Dollar Tree. Here are some items that keep my kids quite busy. All this stuff varies in size and price, so its best to find what works for you. This stuff can drive my husband a little crazy, especially if the kids leave items all over the backyard, but he was kind enough to put together the toys that need building and enjoys watching the kids have fun in the yard. 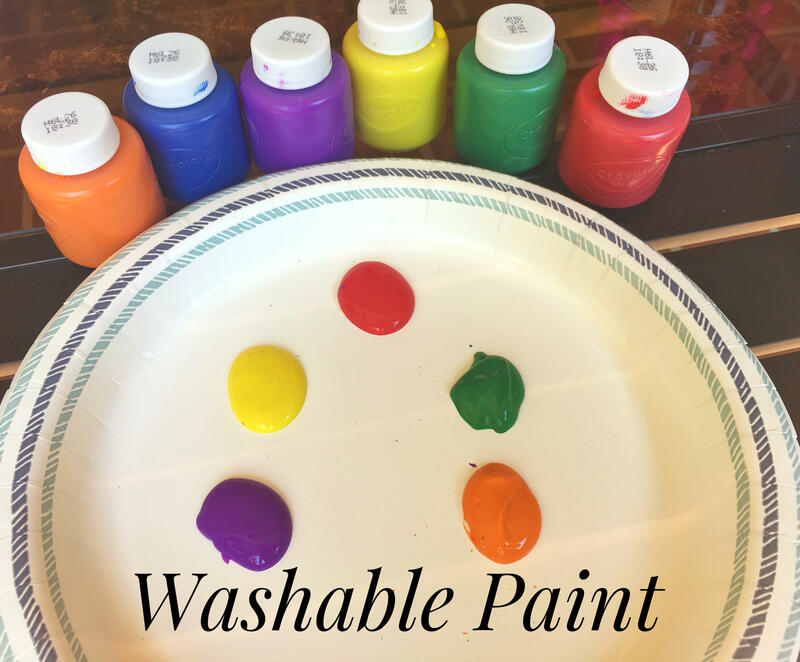 Cheap, easy and very entertaining. 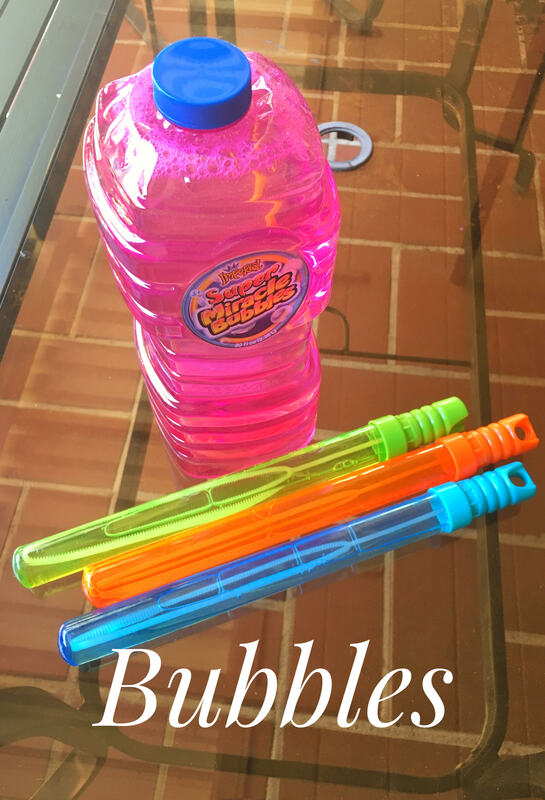 My kids spill bubbles ALL the time, so I keep a big refillable bottle on hand. Provides quite a bit of entertainment, especially for my 3 year olds. 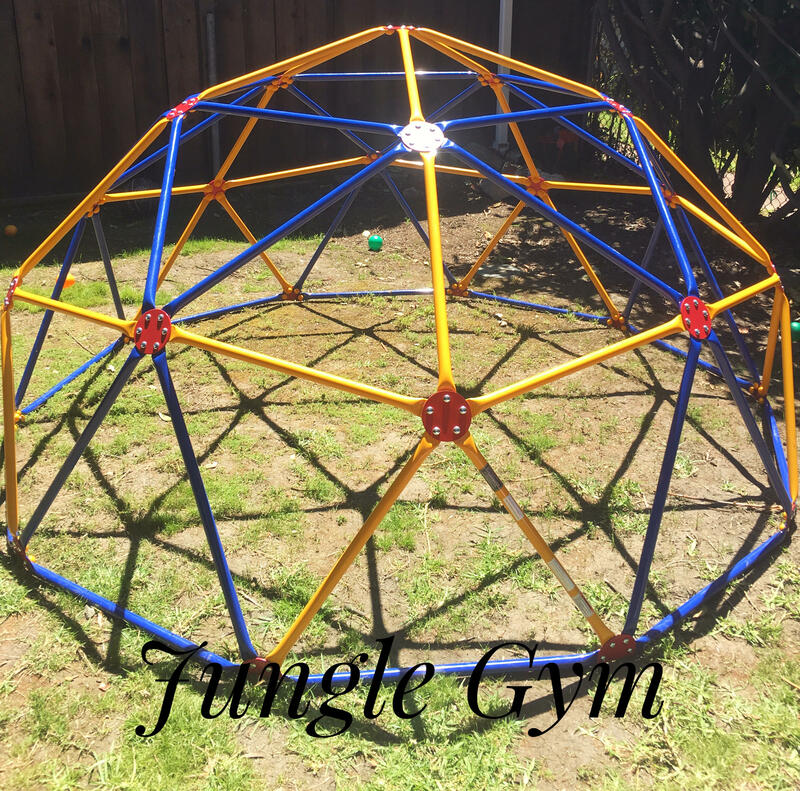 I spent a lot of time researching jungle gyms for the backyard and debated getting one 2 feet wider and taller, but decided to go with the smaller one. It takes up less space and the fall to the ground is closer. I have two twin boys and they love to climb over everything. We found ours on Amazon. It’s The Easy Outdoor Space Dome Climber Quick delivery and took my husband and another person to setup. 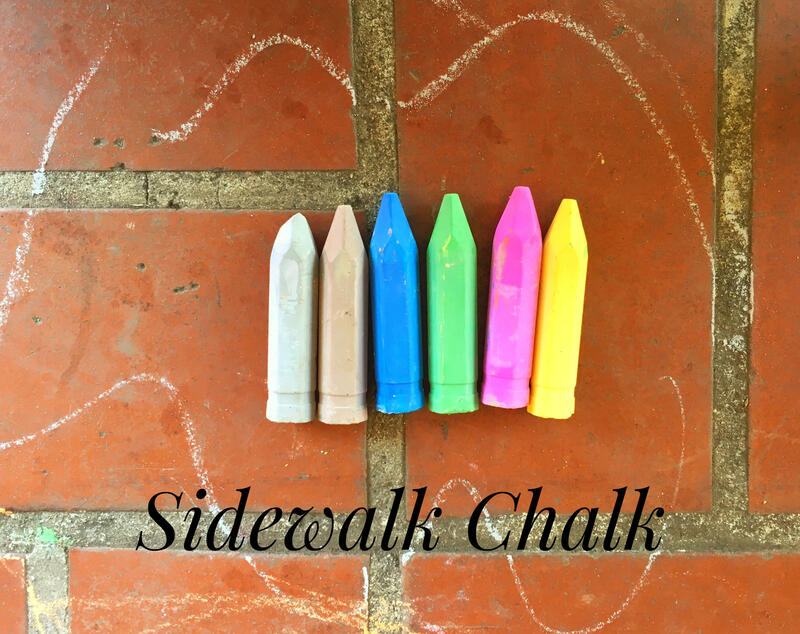 Now sidewalk chalk is a cheap and easy thing to use for entertainment. It lets children use their imagination and encourages writing and drawing. Bricks and concrete are great for writing on. Chalk is sold on Amazon, Wal-Mart and Target and washes right off with a hose. Just make sure you clean the kids hands after they’re done using it. Big bouncy balls are around $3 each and very fun. I got one in each of my kids favorite colors and they roll on them, toss them out each other, kick them etc. Tons of fun and they come in some amazing bright colors. Found these below at Wal-Mart. Little blow up swimming pools keep the kids cool and entertained. They can be filled with water or double as a ball pit. You can purchase the balls here. 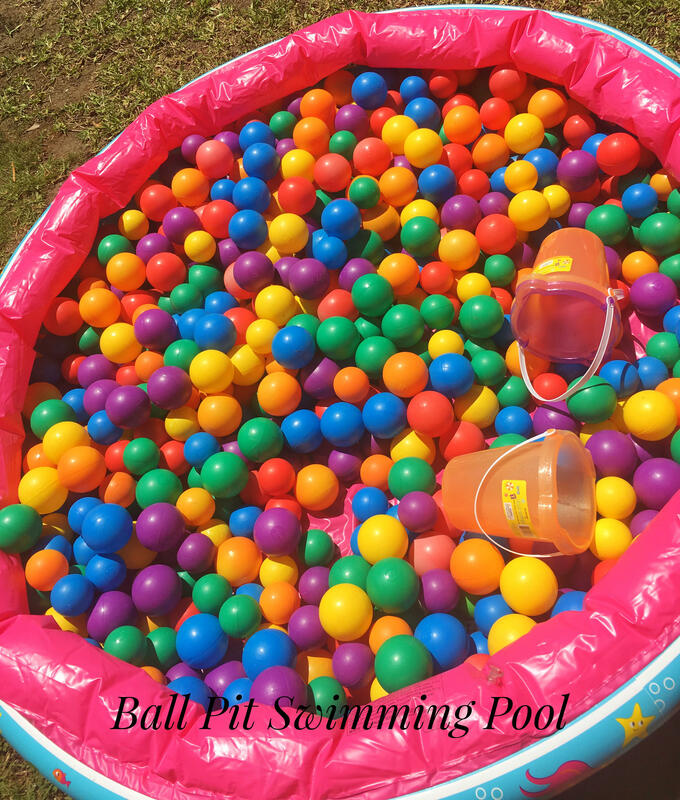 For all 3 of my kids, I used these balls to help them learn their colors by separating the colors into the same bucket. Now balls will get all over the yard. I try to have the kids pick them up often. Now, I must admit this thing is an eye sore! It looks awful and can be dangerous if you don’t teach your kids how to jump properly in there, but it provides tons on entertainment. 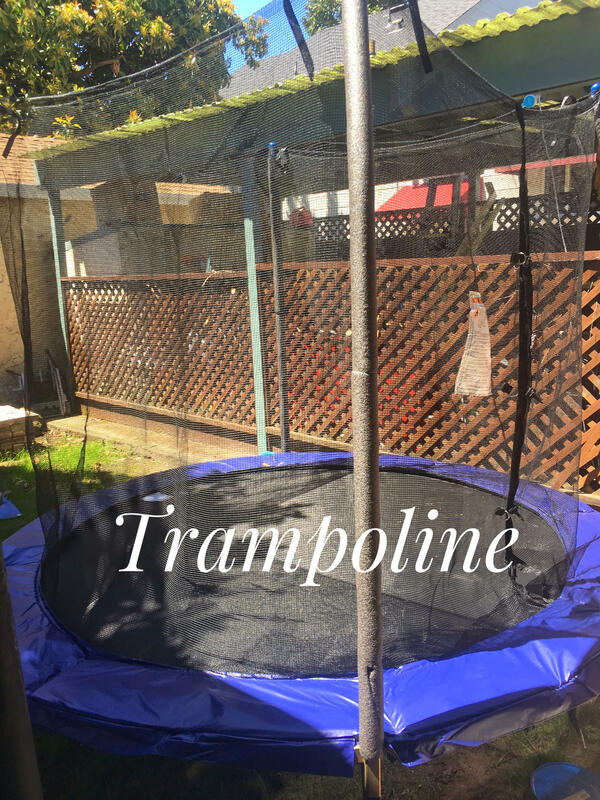 I got this Skywalker Trampoline with a 175 lbs weight limit and a net on Amazon during a summer sale. Took my husband and another person a couple hours to build it. The kids and and their friends love it! Also, after bouncing it for 30 minutes they are tired. Great time to bounce is right before nap time. What kid doesn’t like just digging in the dirt? 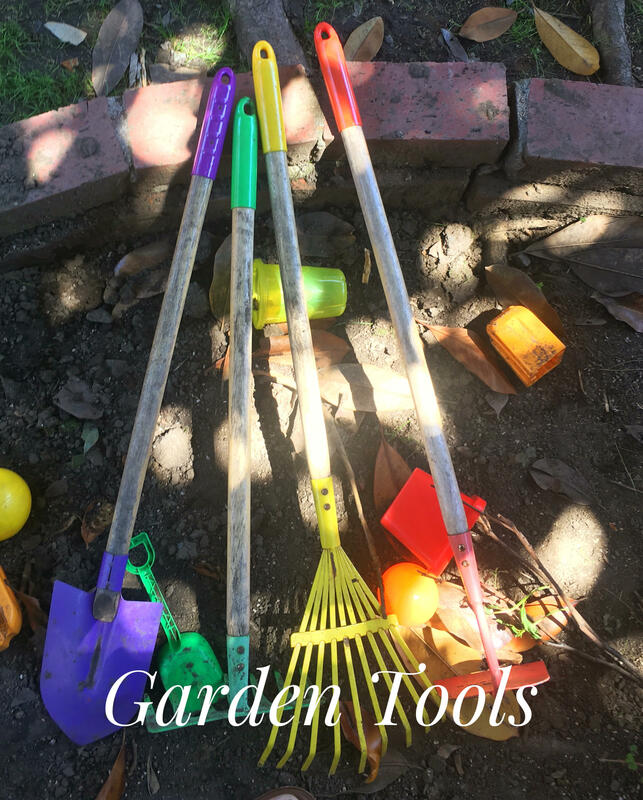 Rather they are planting, raking, or just filling buckets with dirt, my kids love playing with garden tools. Gardening teaches the kids about plants, how seeds grow, and also teaches them about doing chores. I have the kids rake up leaves and water plants. I found a cute wooden set on Amazon that comes with a rake, shovel, and hoe. Check out the set here. Now painting can be quite messy with kids. If you prepare yourself and the painting environment it can work out well. 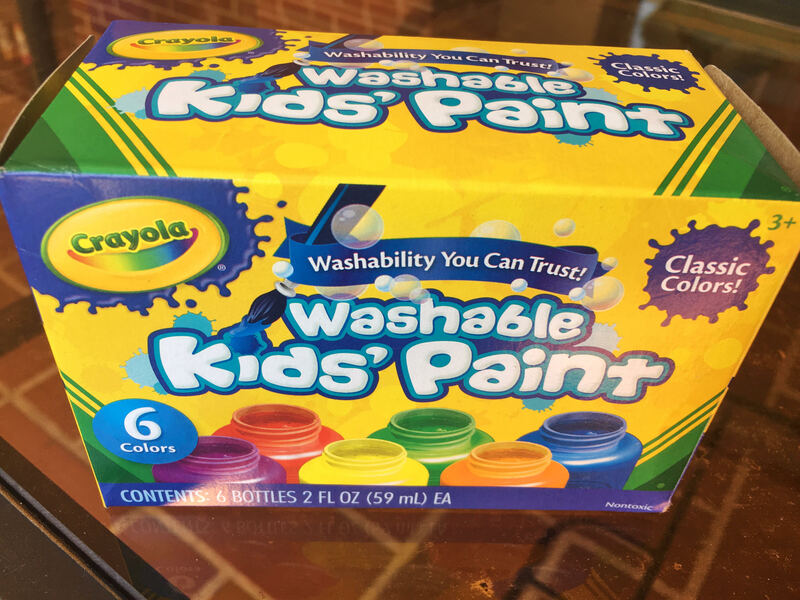 I always use washable paint, make sure the kids aren’t wearing anything nice, and portion out the paint, brushes and water for each kid. As soon as they are done painting, I make sure hands are washed before they touch anything else. My daughter loves making great pictures of flowers and rainbows and my boys just like mixing colors and always end up with brown or black, but they are all happy while doing it. Hope these activities keep your little ones busy during the summer.